Hello and welcome to week twelve of the Points of Two Project! This week Kira and I decided to consider those things that happen to us that seem to be by chance or serendipity! Chance: 1. the absence of any cause of events that can be predicted, understood, or controlled: often personified or treated as a positive agency. Serendipity: 1. an aptitude for making desirable discoveries by accident. 2. good fortune; luck. I reflected on something good that happened to me this week. I made a journal for a friend of mine's daughter and she received it on Monday. I enjoyed so much making it for her and was beside myself with excitement. Two days later I see a huge box on my porch and much to my surprise it is filled with a bunch of art goodies being shared with me by my sweet friend, Olga. Is that coincidence? I don't think so! I think that good things come back to you. You don't do good for a reward; you do good things because you have a heart to and it makes other people smile. I feel very blessed this week to have received the same 'smile' Michele did when she received the journal I made for her! 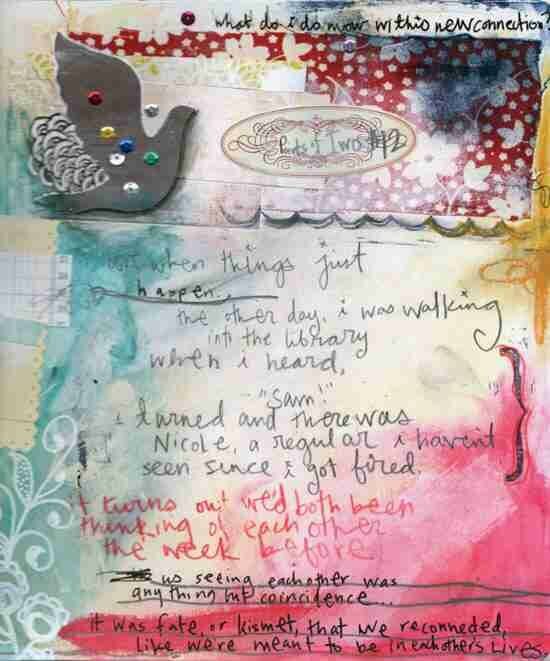 Be sure to check out Kira's blog to see her page and her reflections on chance or serendipity! 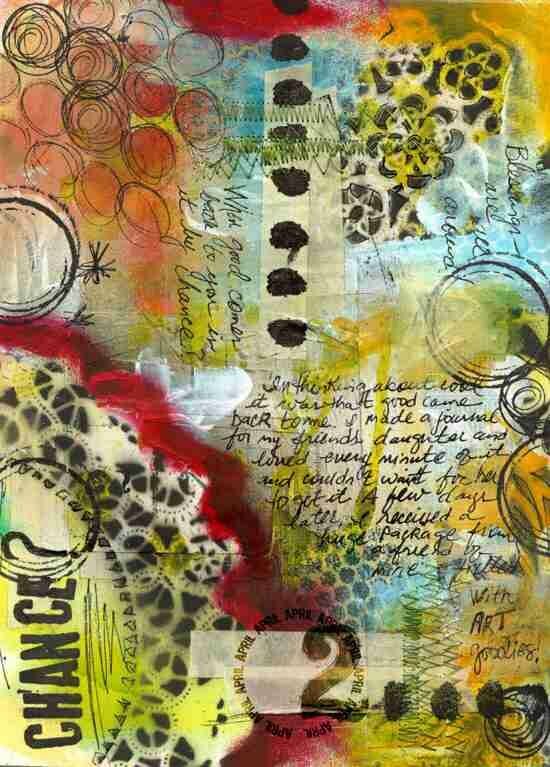 This page was created in the studio with stencils, paint, spray inks, stamps, gesso, stitching, collage, doodles and at the end I added the digital date!